Not all of my images are a product of deliberate planning, in fact few are. In most cases I have an idea in mind, but once I get to the intended location this idea changes, sometimes multiple times. 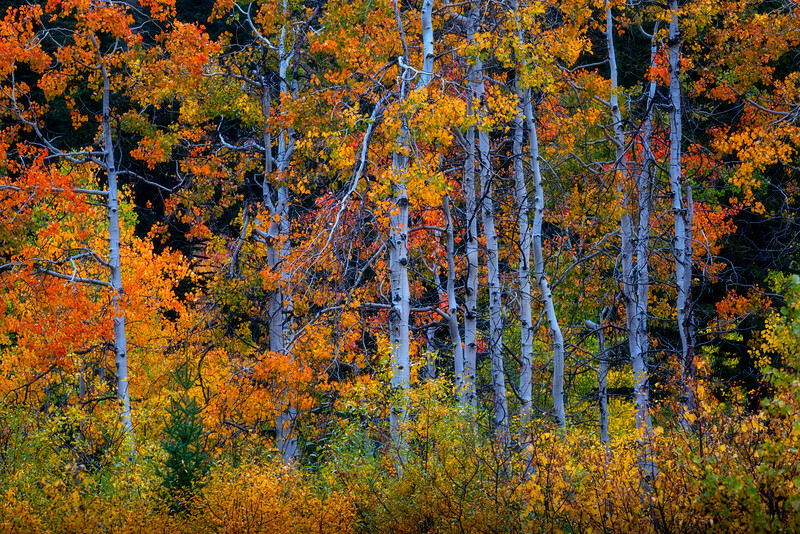 In this case I was driving to Rainy Pass from my hotel in Winthrop and well before arriving I saw a autumn forest of younger aspen trees. I almost immediately stopped the car to check this out. The forest, however, seemed very young and messy, not like the nice neat more mature forests one often sees in Colorado or Jasper. I wandered deep into the forest without trail and found this spot that seemed like it brought at least some resemblance of order to the chaos. I loved this area because I could also still feel some of the random edge of nature, creating a beautiful tension, that to me in nature at its heart.